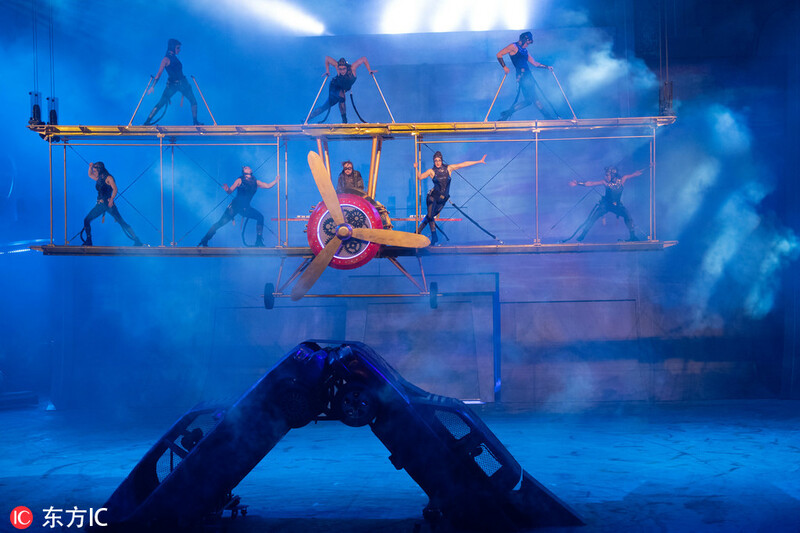 Acrobats performing on an electric biplane at the opening of the world's first all-electric indoor stunt show "Elēkron" at Studio City in Macau, China on Wednesday, January 23, 2019. [Photo: IC]"
A female acrobat supports her body with one hand over a motocross bike as her image is projected onto a wall at the "Elēkron" stunt show at Studio City in Macau, China in Wednesday, January 23, 2019. 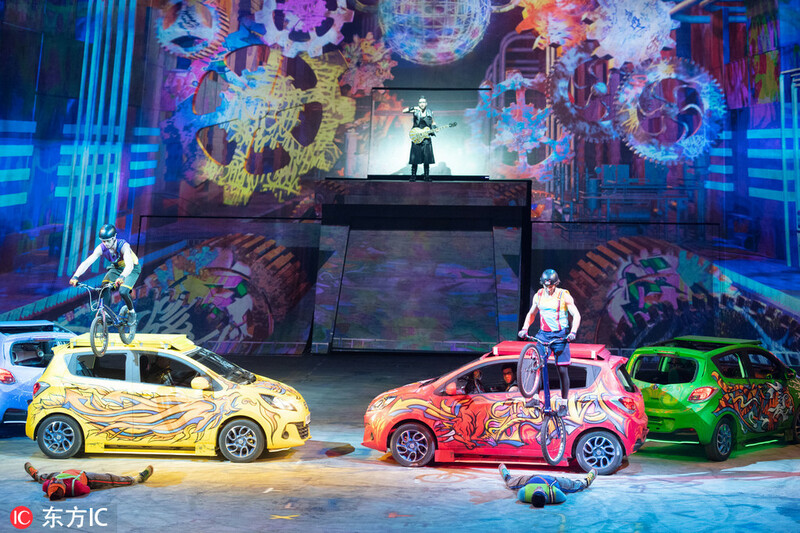 [Photo: IC]"
Two motocross riders go over the top of fellow performers at the "Elēkron" stunt show at Studio City in Macau, China on Wednesday, January 23, 2019. 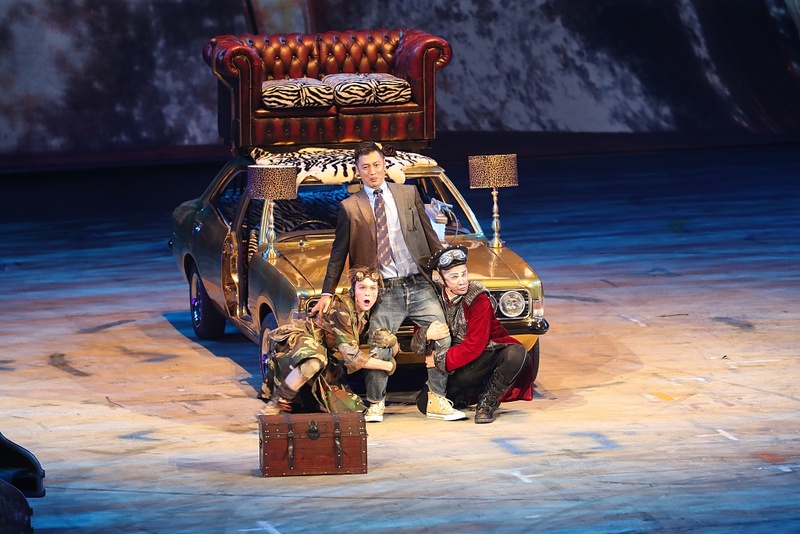 [Photo: IC]"
The performance by renowned Hong Kong actor Shawn Yue alongside two stunt men was a highlight of the show at Studio City in Macau, China on Wednesday, January 23, 2019. 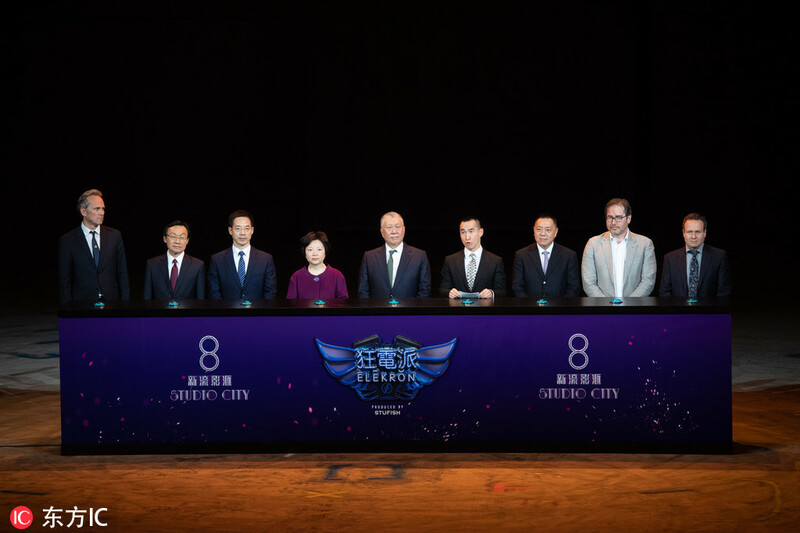 [Photo: VCG]"
Senior executives from Melco Resorts & Entertainment attended the opening of the "Elēkron" stunt show at Studio City in Macau, China on Wednesday, January 23, 2019. [Photo: IC]"